For me the New Years vector is the most important vector of the year. Not only is it my last one of the year, but by finishing it on time I'm showing to myself and everyone that vectoring is still an important thing in my life. And maybe a time will come when the New Years vector is the only vector I'm able to finish in a year...(I hope not!) but I hope to keep this tradition for a long time. Sorry, I know there was more I wanted to say and there were things I wanted to do and replying and and and....but the countdown is soon so I guess it's okay if I just do those things later :) Arigatou, akemashite omedetou gozaimasu! 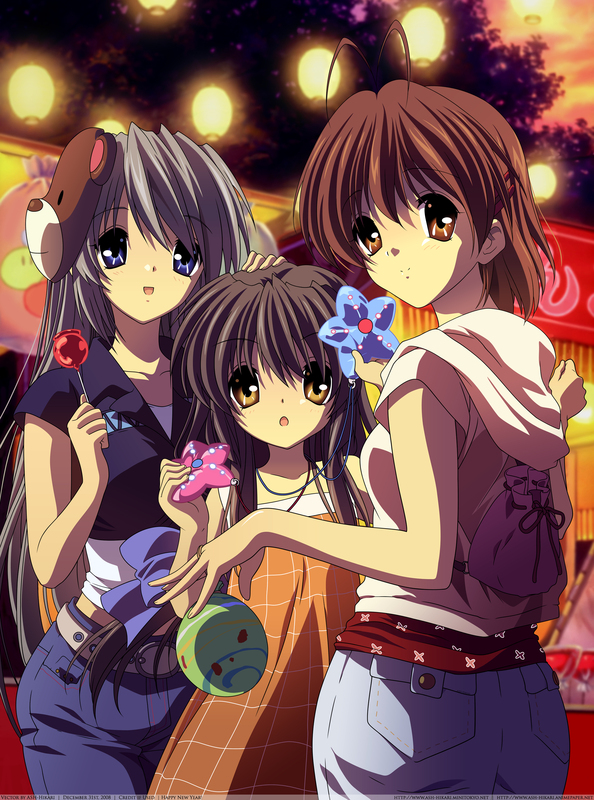 Some of these Clannad scans are just made for you. looks as if it's a cleaned version of a scan only ten times better. a good feeling for the New Year in terms of seeing more artist rise up. Thank you so, so very much for this beautiful gift. this is a truly nice vector art. Wonderfully done! WEEE finally a new vector from you. gosh you really have a way with clannad scans, everything is so perfectly done. Aww, thanks so much for the dedication. It`s so beautiful. flawless lines...such a beautiful vector as always! great job :D and thanx for dedicate! Is that a starfish cake ? I always wondered if you use stroke path or spahe layers for your outline? But by looking @ it closly, I can say it's strok path. How do you maintain such smooth curve @ the same time somehwhat edgey tip? Quote by WslasherI always wondered if you use stroke path or spahe layers for your outline? But by looking @ it closly, I can say it's strok path. How do you maintain such smooth curve @ the same time somehwhat edgey tip? your vectoring is still awesome as ever! Love the use of gradients! They came out perfect! ahhhhhhhhh excelente vector me encanta. i've been looking for good clannad vectors since yesterday but DAMN! absolutely awesome, gotta love TOMOYO! but anyway, its a really nice scene, u have some admirable skills eh!